Winter is thoroughly upon us, and kids are hoping for a snowy day so that they can get out and enjoy winter activities. 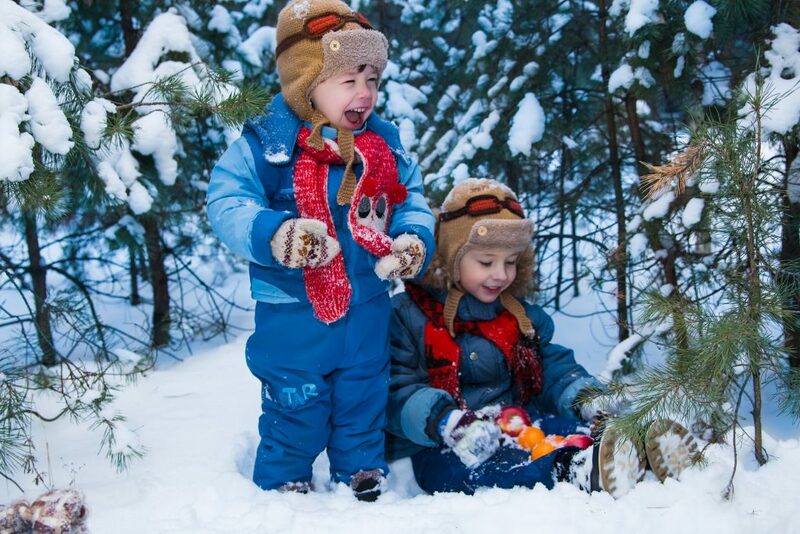 Whether they are building snow forts, sledding, skiing, ice skating, or doing other winter activities, knowing outdoor winter safety tips can help keep them safe. The temperature that is dangerous for children to go outside is when the windchill factor falls below -13˚F. Wind chill temperature is how cold it feels when outside. It is based on the rate of heat loss from the skin that is exposed caused from the wind and cold. As wind increases, it pulls heat from the body, causing a plunge in skin temperature and ultimately internal body temperature, making it feel much colder. Kids have a hard time judging how cold it is outside, so knowing the windchill and checking the weather forecast is a great safety tip for keeping them safe and healthy from the winter weather. The type of clothing kids wear is an important outdoor safety tip. At least three layers of clothing is desired. The first layer should consist of a thin, moisture wicking material. The second layer should be an insulating material such as fleece. The final layer, a coat, which is sometimes hard to get your child to wear, should be worn. Layering clothing will allow kids to remove them when they are active so that they avoid overheating, which will make kids wet from sweating. Wearing waterproof boots, gloves, and hats is also essential for outdoor winter activities. Taking breaks is important for kids to stay safe in winter. They should come inside from the cold to get warmed up, allowing the parent to decide if it is time to stay in or if they are safe to go out for more enjoyment. Making sure that kids drink warm fluids to help them maintain body temperature, or water so that they stay hydrated is another tip to keeping kids safe during the winter months. Understandably, there are many ways that kids can get injured while enjoying the winter weather. Being prepared and following safety tips will help keep your kids safe. Never let kids play alone: they should always have someone with them. Stretching and warming up before any winter activity will help kids avoid injuries. When doing outdoor winter sports such as ice skating, sledding, or skiing, kids should always wear protective gear. To be on the safe side, a good tip is to consider wearing a helmet and wrist braces. It may not look fashionable, but when a kid takes a fall, everyone will be glad that he or she had them on. Ice skating presents hazards that are not commonly seen in other winter sports, specifically the ice. The color and the thickness of the ice are important to keep kids safe. If the ice is blue in color, it is at its strongest. Opaque ice is about half the strength of blue ice, and grey ice is the weakest. Watch for areas of ice that are covered with blankets of snow, which act as an insulator making the ice weak. Use sleds that can be “steered” and use by sitting on their knees or bottom to avoid head injury. Skiing is a sport that requires a certain level of skill for kids to stay safe. Wear ski helmets, ski boots, and layers of clothing. Receive proper training by a certified trainer. Quit before becoming too tired to avoid serious injury. Check the forecast to make sure the weather is appropriate for winter activities. Wear three layers of clothing. Use safety equipment for all winter activities. What are some outdoor safety tips do you have for kids?